*Real quick before we start: Two things: First: I’ve teamed up with several bloggers over on Instagram, and we’re giving away an 8 Day TRIP TO THAILAND! I’m super excited to have the opportunity to give that to you! So check it out, and good luck if you decide to enter! If you’ve spent any time at all on the internet over the last several months, then you know that there is an oversaturated trend of self care. Everything from face masks to fragrances to fuzzy slippers have been slapped with the label, self care. 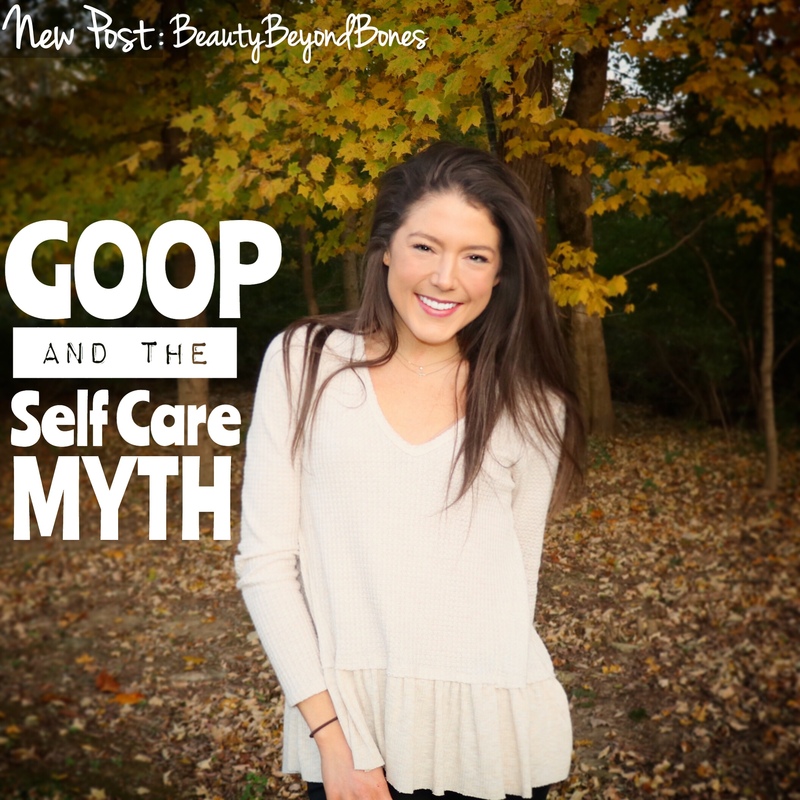 And if you’re a female with access to the internet, then “self care” will trigger one word: Goop. Yes, I’m talking about the uber luxury lifestyle brand of none other than Gwyneth Paltrow herself. This is not to throw shade on Goop, truly. In fact, I applaud Gwyneth for creating such a well-respected lifestyle brand that is both informative and aspirational. With that said, I did some digging to see what the “Goopy Queen” of wellness, health, and beauty had to say about self care. And, silk toothbrushes and lady-parts steamers aside, the majority of what I found on Goop fell…well, flat. I learned about an oil that “anchors the spirit back into the body.” I found out about the power of aligning my energies to create positive vibes. And even, why some women swear by “earthing” – or the practice of getting your bare feet in contact with the earth for a period of time per day. And after plowing through numerous episodes of her podcast, with guests from everyone from Oprah to Julia Roberts to Chrissy Teigen, I finally had to turn off the podcast and walk away. If this is the self care from the top “guru” herself, then we are in a world of hurt, people. Because let me be crystal clear: self care does not come in a bottle or a jar. True self care is so much more than that. I’m going to be honest, I consider myself somewhat of an expert in self care. Not because I’ve tried every beauty product on the market, or am well versed in sleep studies. Nope. I am an expert in self care because it was such an instrumental aspect of my recovery from anorexia. No, self care was genuinely that: caring for myself. 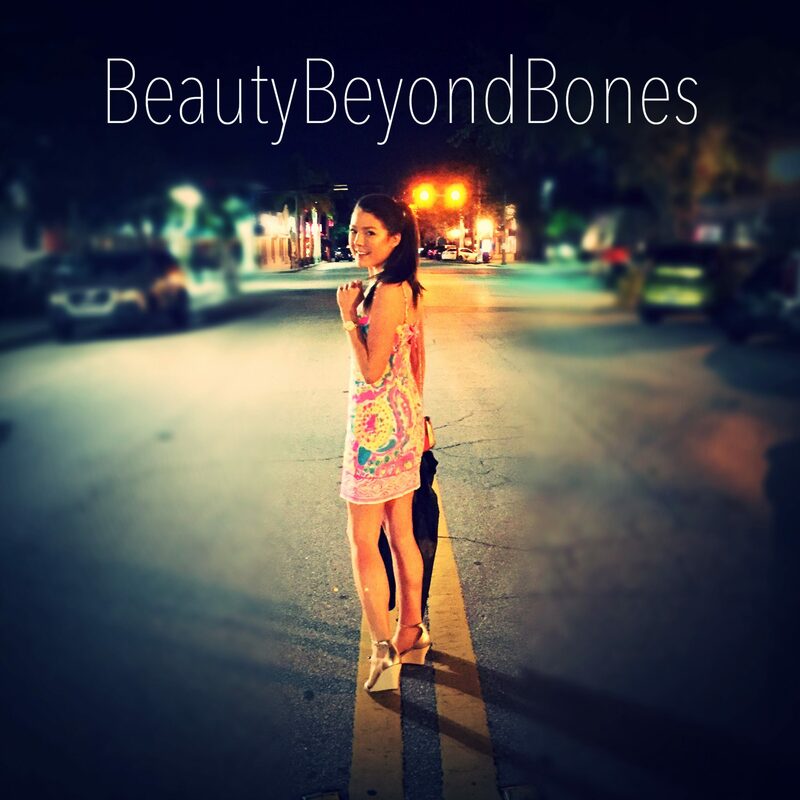 During my anorexia, self care was non-existent, for the sole reason that, not only did I not respect or nourish my body, but I truly hated it. I hated myself. Most people think that anorexia is just some rich white girl’s diet gone awry, but the weight loss is merely a manifestation of the inner turmoil going on inside. It’s an outer manifestation of the hatred she has for herself. So yes, she is withholding nutrients from her body, but she is also doing a myriad of other behaviors, that all stem from that inner wound. That inner hatred. For example, I would isolate myself from loved ones, because I felt unworthy of love. I would sleep on the floor, because I felt I didn’t deserve the comfort of a bed. I would only allow myself to buy and wear ratty clothing from Goodwill, because I felt I didn’t deserve to wear nice things. I’d punish myself with exercise; the list goes on and on. So for me, one of the greatest hurdles for my recovery, was to relearn how to be kind to myself. How to care for my body. And while, yes, treating myself to a good smelling foot lotion, or taking an extra five minutes in the shower to exfoliate with a special sugar scrub was part of that new adoption of self care, the real work came from the inside, out. Sitting her, ten years later, healed and whole and living abundantly, I can tell you with firm authority, that you cannot buy true self care on the shelves of CVS. The tools for self care, are in fact, not tangible at all. Because true self care is all about your soul. Yes, Gwyneth was onto something, when she was championing oils that get in touch with your spirit, but spoiler alert: no oil can do what we truly need. My true healing from my anorexia came when I invited Jesus into my heart to clean up the state of my soul. To heal my spirit. I needed a total-heart-take-over. It took intentional, quality time, seeking the Lord through the Bible. And through worship music. And through prayer. And I’ll be the first to tell you that this was not easy, or comfortable, or frankly something that I necessarily looked forward to all the time. There was no way to root out the lies I believed in my mind, other than filling it with so much truth that there was no longer any place for it to live. And I continue that practice to this day. It’s how I stay in recovery. It’s how I keep my mind on Jesus, and grow in relationship with Him. It’s the secret to my self care: spending quality time with Jesus. It doesn’t have to be lengthy or super heady. Sometimes I’ll listen to a worship song. Or a podcast. Sometimes it’s just spending time reflecting on the Gospel — which I do every morning on my Oh What a Beautiful Morning! Video Series that I put in my free newsletter. Because the thing is: when my soul is in the right state, then everything else falls in line. Fears, anxiety, stress, anger, loneliness, doubt, exhaustion — all those things that society’s “self care” routines are trying to “cure” can only truly be alleviated by a heart at peace. A heart that is in tune with Jesus. And I can assure you, you won’t find that in the articles of Goop. Yes, because everyone is looking for the miracle cure for happiness. Joy is found in Jesus only. God is the only cure. Amen! No amount of new age beliefs will ever compare with Jesus! God bless! Miss Caralyn I love it when the Lord speaks the words in my heart from the heart of another person living life in Jesus. There are more words however they are elusive at the moment. Dear Jesus thank you for Miss Caralyn, sharing how she allows herself to be loved by You, deeply, passionately, transformatively. May she continue in this Beauty. Amen. Thank you Caralyn, for another terrific post, saying Jesus Christ is the only way to Life and Wholeness. I do believe that every response to every post of yours could start that way. You are a blessing to many, and I truly believe that our Heavenly Father is Blessed, and smiling down on you, as you give Praise, Honour, and Glory, to His only Son, Jesus Christ, who came to earth to be a sacrifice for our sins. I am sure our Father looks to the throne on His right, and says to Jesus, “She loves you so much Son, she tells everyone about you.” Let’s Bless her some more. Thanks again Caralyn for showing each of us the Truth, and demonstrating strength and boldness in sharing Jesus. Also, I just finished watching your video from last Thursday, and I accept your challenge. God Bless you, Beautiful Servant Of our Lord Jesus Christ. Well, there is self care for the rich and then there is self care for the regular people – two completely different things. Everyone finds a buzzword or phrase and then tries to capitalize on it. What did you write about some time ago? Clean foods? I only wish Jesus could be the mod buzzword instead of a profanity! As always, a pleasure to read. So proud of you for getting help from the anorexia. As an Ex-Victim, I fully support you. You could not have said it better than using the term “total-heart-take-over”. It reminds me of 2 Corinthians 5:17 which teaches us that if anyone is in Christ, that person is a new creation. I’m thankful that I have a new purpose, a new heart, and numerous other new things because He has washed me whiter than snow. I’m glad too! It really did come at the right time. Hugs to you as well. So. Spot. On. I loved your testimony! Loved the post. Jesus is just the best! Awesome post, very informative as I had no idea about Gweneth Paltrow and her self-care line, but you had me hooked with how self-care is time with Jesus! You are so right!!! When your soul is healthy everything else falls into line!!!! I love that!!!! Thank you!!!!! Self care is not what we find in a bottle or in a store shelves . It is what we see when Looking in a mirror Looking back at us. Love this article. Very well presented. It makes me sad that so many people have it so wrong. Thank you for posting the truth! PTL, Caralyn! How beautiful your relationship with God is. I especially loved your picture quotes on being good to your own body. Compassion is something hard to come by, especially from ourselves. Praise His name for being willing to shower us with it so that we can learn to do the same. Me and God love you, Caralyn! Just as you are! I’ll be praying for you too. Even the welcome note you wrote was so touching and an indication that we BOTH will be bearing our souls. Exciting!!! Haha YES!! thank you Gail. God is so so so good! Jesus is the ultimate help😁. Amen! Sometimes you have posts that just touch the soul where it needs to be touched. This is definitely one of them, I do not mean this in an unrighteousness judgmental tone but I pray you leave the Catholic faith, or at least study the theological deficiencies it possesses. Every-time I read a blog post from you concerning recovery and what has rooted you throughout it sounds like a true Protestant, but then a post comes out expressing the fundamental belief you have in the aspects of the Catholic faith that I, as a infallible scripture professing Reformed Baptist Protestant, just cringe at. Keep up the blog as I always find many things you write helpful even from a man who has never suffered from EDs but definitely self-esteem problems. May I direct you to a blog post I wrote on the subject of self esteem? Well, there is one place where I think we are at odds as well (ha! ), I’m actually more of a high liturgical guy myself. The charismatic style of a Lord’s day church service is not my cup of tea. I’ve seen and read of many Anglican or confessional Reformed church’s services and I love ‘em… something of a carry over from the old 16th-17th century Catholic stuff. Wow!! This is the reason i never miss to read your posts.Thank you for choosing to stand on and by Gods word no matter what. This reminds me of our sermon this Sunday from the Romans 12:2 “And do not be conformed to this world, but be transformed by the renewing of your mind, that you may prove what is that good and acceptable and perfect will of God.” Our minds have been filled with so much lies from the world and unless we know(by renewing our mind to what the God says) we end up often falling victims of these lies. Now seriously how can an oil anchor the spirit back into the body? Indeed like He has said, My people are destroyed because of lack of knowledge. Thank you for sharing the truth. I really look forward to meeting you in person one day. You are such an inspiring soul. Be blessed. thank you so much!!!! I can’t wait to check it out!! Well said! For me self care means saying no to things that just mean I end up with too little time to do too much and don’t get enough sleep. I would have to agree. Like family, faith, snuggles, sunshine, fresh air, music — FREE! I cannot support Goop because of her outwardly perpetuating the stereotype that women and moms have to drink to “survive.” It’s absolutely ridiculous that someone in her position would do this and I’m not about to support and perpetuate it myself!! Hopefully Goop gives some of their earnings to feed the poor who subsist below USD1 a day. SO true— only JESUS can heal. the TRUE self care is not products and taking time to have a bath… which is a topic that often comes up for me- as a new working mom…. who has been trying to help my husband heal from losing his mom to cancer last december. He still hasn’t healed- and it is because he pushed Jesus away. I continue to pray— because i KNOW the answer to his healing is God. I feel he is getting closer again…. “There was no way to root out the lies I believed in my mind, other than filling it with so much truth that there was no longer any place for it to live…. After 2 or 3 years of desperately trying to root out the lies myself, I am finally learning the simplicity and miracle of focusing on Jesus and his opinion of me. The change in focus is both a tough, gritty decision and an “easy” free gift that no one other than Jesus can help a person to do. I love Him for it and am thankful. The road is still long, but it is real and possible now, with Him. I loved the line where you said “There was no way to root out the lies I believed in my mind, other than filling it with so much truth that there was no longer any place for it to live.” That was absolutely beautiful! Thank you for sharing truth with others! Truth! Oh if only more people would get this vital truth, then we could keep a whole lot of money in our pockets! Jesus already paid the ultimate price on the Cross and He is readily accessible 24 hrs/day. Thank you for this! It’s refreshing! Loved the post. just a note, the ‘earthing’ is a part of witch craft, but for a chronic pain person we call it ‘grounding’. It helps with the amount of electricity a spine can store.. Having contact with grass and dirt is just like a wire attached to your home to cut down on electric surges. If you have over active nerves running in your body, it truly helps. If you ever were to meet me I would be barefoot, lol. All the focus on products for self care seems to show that we all are still looking for the magic, silver bullet that will fix everything. There’s a lot of that that goes on in the fitness business; everyone has a new program and a new method and a new piece of equipment that is always promised to be the last one you’ll ever need. I fell for that for the longest time until I realized that there is no magic, silver bullet unless you want to count work and time as the bullet. For me, personally, that meant, eating less and exercising more and looking at variations for the classic exercises, like pushups and pullups, and learning from my sister what dancers do to strengthen their core. It’s human nature to want a shortcut and if there is a smarter, easier, faster way to do something-that still gets the job done well-that’s great. But most time we have to rely on perseverance and spirit, like General Washington said. For those who have an interest in the Bible it tells us our bodies are temples. So we really do need to look after them don’t we? Just imagine dumping trash into a cathedral, we’d never do that but we do it to our body temple. All of us do to a certain extent. The self-care gurus are interested in money not people and they use psychology to manipulate us into thinking self-care is what they offer. Companion to true self care is others care. That is a wholistic approach. Your helpful book is an outgrowth of self-care into others care. You’re on the right track there. Great post. I signed up for goop email. I get email every time and you are right it’s Uber luxury.